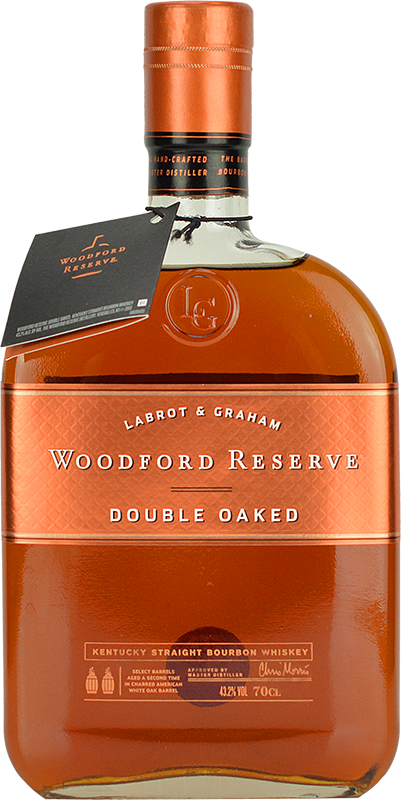 If you’re in search of an award-winning whisky for a special occasion, then a bottle of personalised Woodford Reserve Double-Oaked is sure to fit the bill nicely. It’s scooped numerous accolades, including a double gold medal from the San Francisco World Spirits Competition for three years in a row between 2013 and 2015. To create the distinctive double-oaked flavour, this whisky is comprised of a mixture of two separate lots of charred oak barrel – the second of which is deeply toasted and then lightly charred. The maturation process is the secret to unlocking hidden depths to any great whiskey, and this one is no exception – give it a try and you’ll see just how deserved those awards were! Your bottle can, of course, be made even more gift-worthy with the help of a personal message. This is something we can help with! Just tell us what you’d prefer your custom message to be, and we’ll laser-engrave it onto the glass on your behalf. The aroma is tantalising and complex, with notes of dark fruit and sharp honey mingling. The body of the drink brings in more subtle flavours, with vanilla, apple and hazelnut all playing a supporting role. Those apple notes sweeten for the finish, which is lingering and creamy.